Internet Explorer 5.0 or 6. 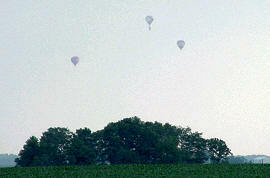 Three balloons float lazily Sunday evening over lush fields of Logan County corn. To the county board: Please vote it down! Click on underlined names below to see websites.